The eclectic and vibrant capital of Uruguay, Montevideo is the perfect place for a romantic break. A pictureseque city awash with the colourful facades of colonial-era houses, she is a bustling cultural hub full of good food, fascinating museums and beautiful architecture. Whether you're taking a sunlit stroll along the Rambla de Montevideo, immersing yourself in indigenous artwork at the MAPI or sampling grilled steak at the historic Port Market, you will find yourself submerged in total bliss. The best places to stay in Montevideo will make you want to return again and again. Founded in 1724, Montevideo is one of South America's safest and smallest capital cities, making it easy to see all the important sights in a few days. With a popualation of roughly 1.4 million people, (half of Uruguay's population), she is an extremely fun city to explore, owing to the diversity of her districts. The Old Town teems with historic sites, but it is also the best place for a night out or shopping spree: the charming old streets are lined with boutiques, cafes and markets, while sculptures adorns street corners and street art decks the facades of houses. A city of many faces, there is also the beachside suburb of Carrasco, the perfect place for sunbathing, while the historic downtown area - a place of energetic commerce - Art Deco and Neoclassical buildings stand side-by-side with grim and stark skyscrapers. It is often said by locals that the further you go from the Plaza Independencia to the Port, the seedier it becomes, and it best to heed this advice. While the Old Town is remarkably safe by South American standards, the port area is rather run-down and post-industrial. However, the historic Port Market is a must-see, where you can buy finely grilled steaks. In terms of heritage, there is much to see and do. The National History Museum provides a fascinating detailing of the nation's history, while the MAPI boasts a gorgeous array of indigenous art and artefacts; as for modern art, be sure to check out the National Museum of Modern Uruguayan Art. While strolling the streets, make sure you buy a "mate", a caffeinated herbal drink popular with locals. For a day trip, consider taking the 2 hour bus ride out to Colonia, a UNESCO World Heritage Site and beautiful colonial-era town. Enjoy a spot of sunbathing at the beach in the beachside suburb of Carrasco! Visit the Port Market and sample some of their renowned grilled steak. Take a guided tour of the Teatro Solis, a historic theatre! Stroll aimlessly down the Rambla de Montevideo, an extremely romantic walk. Drink some "mate", a caffeinated herbal drink popular with locals! Head out to Colonia, the UNESCO-protected colonial-era town. Immerse yourself in indigenous art at the MAPI! Montevideo is the perfect place for a romantic break. Whether you're sunbathing at the beach, checking out the street art scene or indigenous works from a local gallery, taking a romantic stroll along the promenade or shopping in the Old Town, you will fall in love. Check out our collection of the best places to stay in Montevideo to find out why! Don Boutique: located in the Old Town and just a short walk from the beach, the Don Boutique is adorned in an Art Deco style and features plush contemporary rooms. Relax at the rooftop pool or the rooftop bar! Great for young couples. 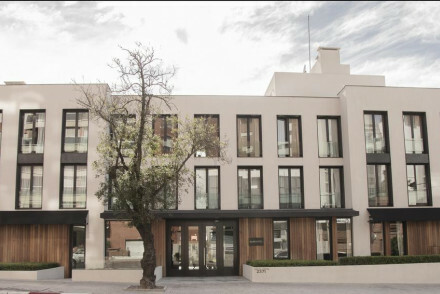 Smart Hotel: in the heart of downtown Montevideo, offering chic and contemporary rooms, a state-of-the-art gym and excellent gastro pub. Unfussy but great city-stay. La Oliva: a clean and contemporary design, boasting spacious and modern rooms, a pampering spa and a top-knotch restaurant. Alma Historica Boutique Hotel: a beautifully renovated 1930s townhouse boasting elegant rooms adorned with antiques, floor-to-ceiling windows and luxurious bathrooms. A truly pampering stay! Fly to Carrasco International Airport, on the outskirts of Montevideo. The best time to go is between November and February, when there is the least rainfall, and when the temperature ranges between 15 and 27 degrees. This hotel is located in Montevideo's Old Town just a short walk from the beach. It features art deco architecture and contemporary furnishings whilst it also boasts a rooftop pool! Be sure to enjoy an evening drink at sunset on the panoramic rooftop bar and enjoy the views. A top-notch city stay. 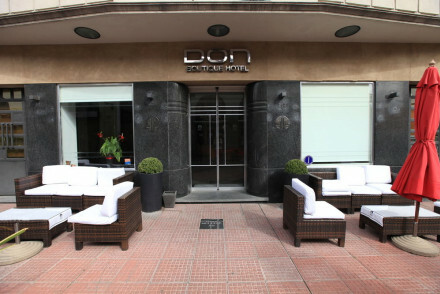 Located in the heart of downtown Montevideo and offers a variety of chic rooms and suites. Enjoy excellent meals in their Bar Americano gastro pub before setting off exploring all over the city or go workout in the gym in you fancy staying active. An unfussy but quality city stay. Located a short walk from the beach in the Puerta Carretas district of Montevideo. Built in a contemporary design, it offers spacious and chic rooms whilst also boasting its own lovely restaurant. Go off exploring during the day before an evening spa session! A top-notch city choice. 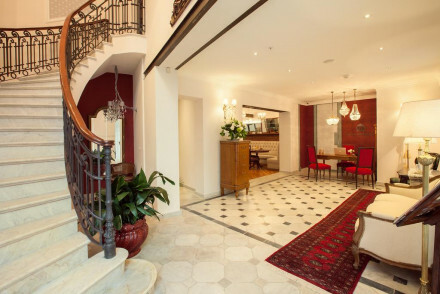 A stunningly converted 1920s townhouse in the historic district of Montevideo. Elegant rooms feature polished wooden floors, antique furniture, floor to ceiling windows and luxurious bathrooms. 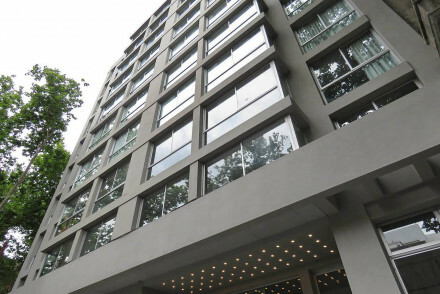 Perfectly situated to access the city's main attractions. A charming city base. Local exploring - An elegant city base well located on Plaza Zabala. Ideal for getting around town. Sights nearby - Soak in the atmosphere in the Plaza Zabala and visit the regal Palacio Taranco.